July just started, but I already feel like it’s been a crazy month for running. 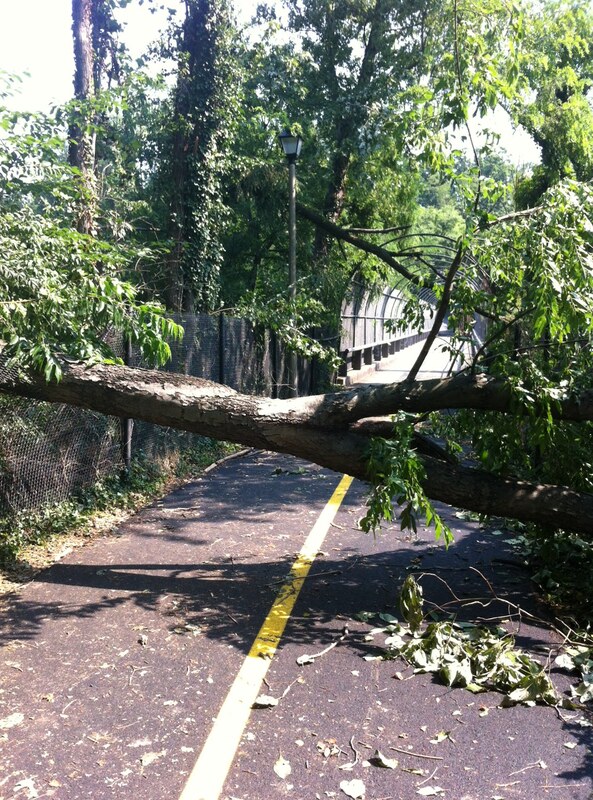 Last weekend, the derecho hit the Washington, D.C. area. In addition to knocking out power and downing trees in local neighborhoods, the storm wreaked havoc on my favorite running trails. 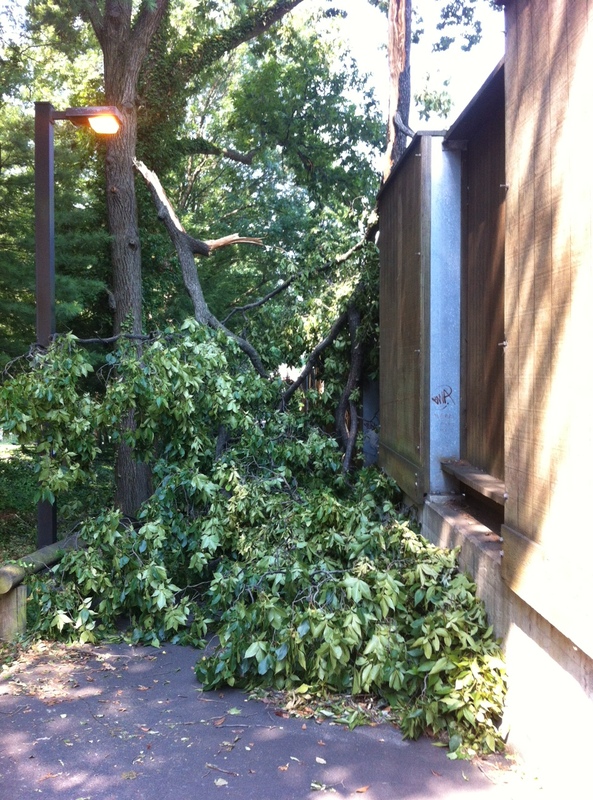 Here are a few shots of the Custis Trail, the day after the storm hit. Unfortunately, the storm gave way to super-oppressive heat….especially tough on those thousands of residents without power and a/c. It’s been in the 100’s around here, making any sort of outdoor activity pretty dicey. 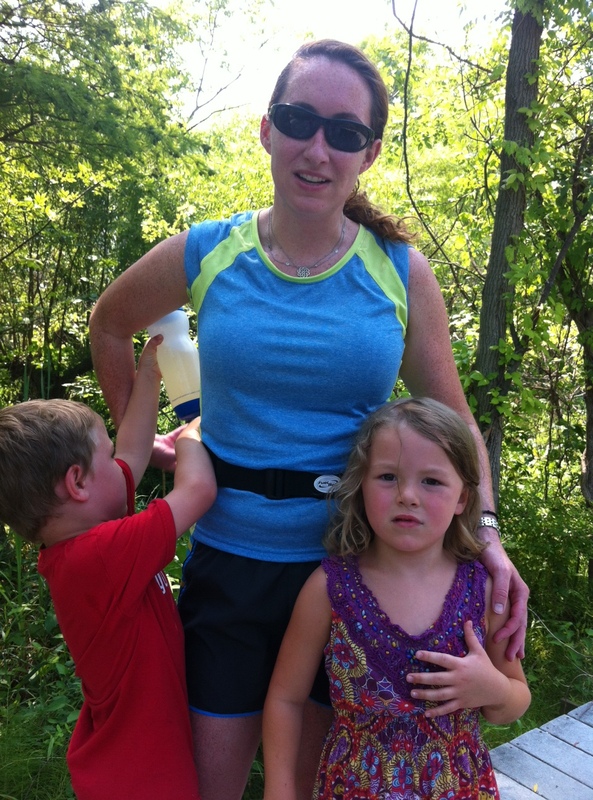 The key has been to hydrate…and to bring enough water to share! 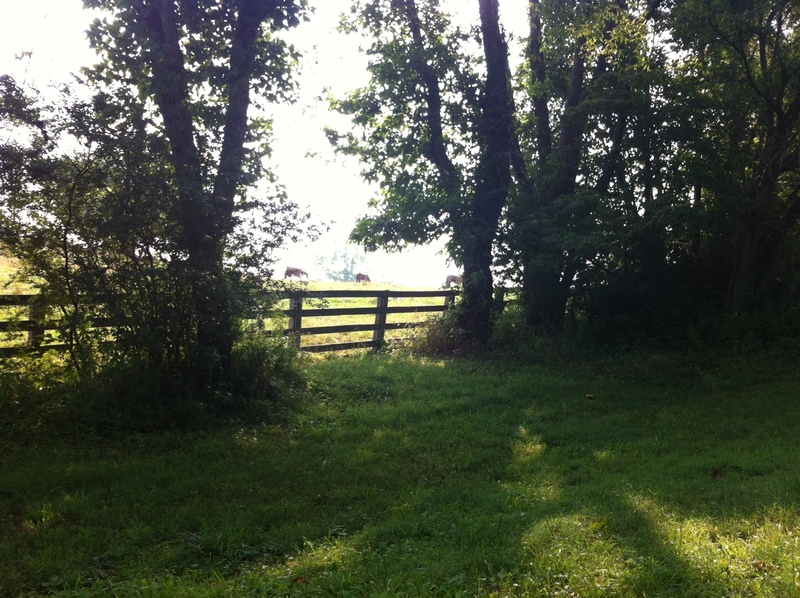 We managed to escape the heat briefly with a quick trip to Abingdon, located in the beautiful Virginia Highlands. To kick off our Marine Corps Marathon training, my husband and I did just over 10 miles on the amazingly scenic Virginia Creeper trail. The “Creeper” is a 34-mile trail located on an old rail bed in southern Virginia. The name is a holdover from the railroad days, when the old locomotives appeared to be “creeping” up the steep Virginia hills. Though challenging at times (especially in the heat), the trail is impeccably maintained, and perfect for cyclists, walkers, and runners alike. We finished our run at noon, then headed to another local favorite- Park Mills BBQ- for a big recovery meal. Read the reviews on Yelp….this place is so neat, and a “must-go” if you’re in town or driving through on I-81. Happy running!